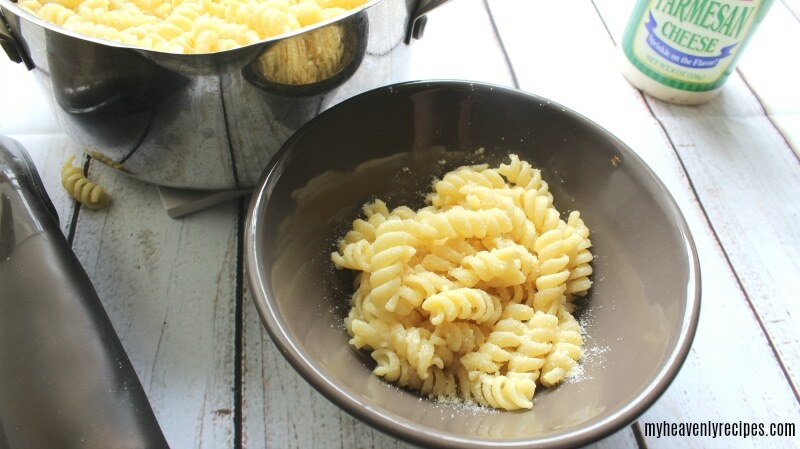 Have you ever been sick and simply craved Buttered Noodles? Now you can make this comfort food recipe at home to get yourself or your family feeling better. 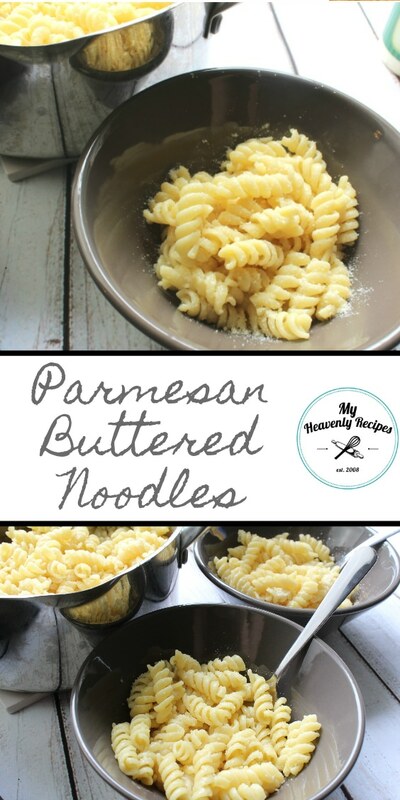 It never fails, whether Beanies has had a migraine, someone has been vomiting or is just feeling icky from a cold, these Parmesan Buttered Noodles are asked for more times than not. And for some reason, the entire family always agrees on them. It’s honestly the weirdest thing! But, they are super quick to make, I ALWAYS have the ingredients on hand and they get eaten, so I’m happy to make them! When your family is sick, what is the go to comfort food recipe for feeling better? 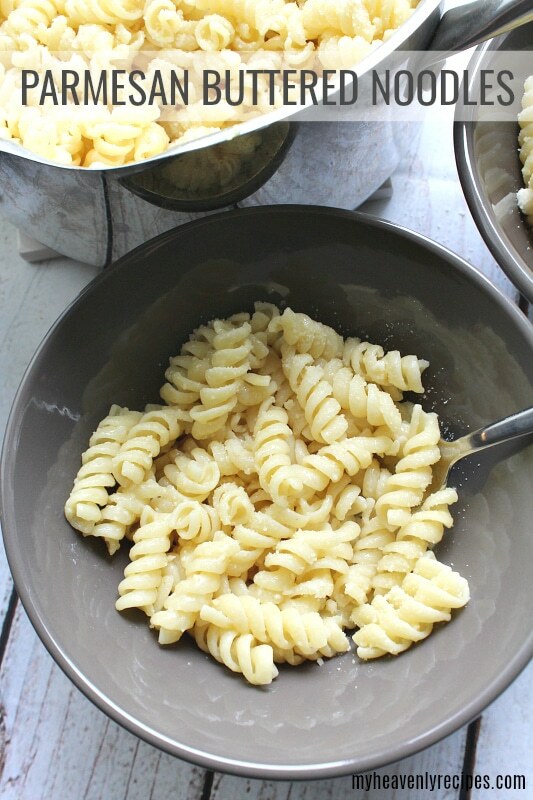 In a large pot, boil rotini noodles until al dente. Drain noodles and return back to pan. Add in butter until melted. 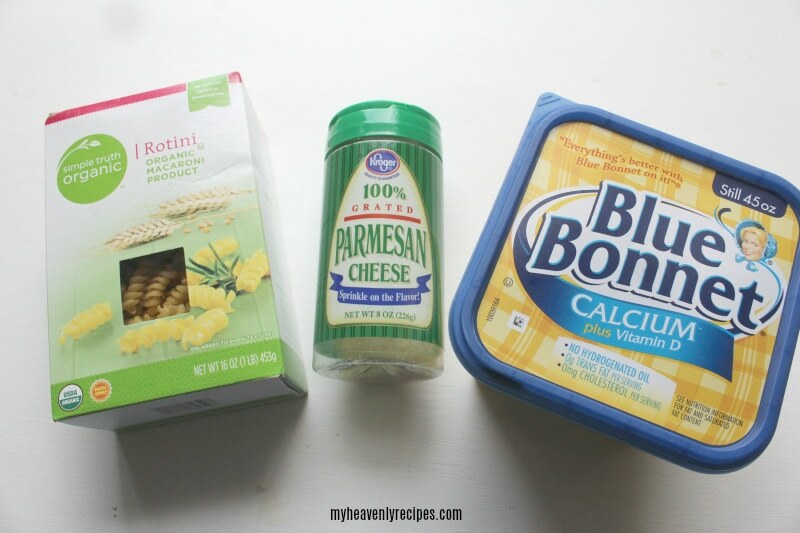 You may want to add more or less butter depending on how much you like. Stir in 1/4-1/2 c Grated Parmesan Cheese until combined. Plate and top with a sprinkle of Parmesan cheese. We’ve been having issues with Beanies getting migraines and vomiting. We are in the very early stages of trying to get her diagnosed and get her the proper treatments. She’s had two of these episodes just in the past week. I need my beanie girl feeling better sooner than later. I hope that you’ll share this recipe with your friends and family. And if you happen to be sick and you are reading this recipe, I hope that you feel better! A timeless and classic comfort food recipe. 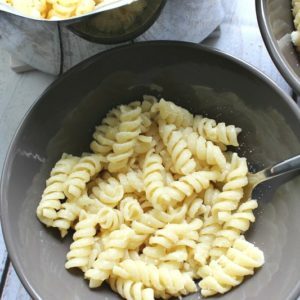 Parmesan Buttered Noodles are perfect when you are sick or when you need a quick and easy side dish recipe.